When mid-September arrives, it's usually time to start wearing flannel shirts and leather boots. And then there's the Oktoberfest crowd. 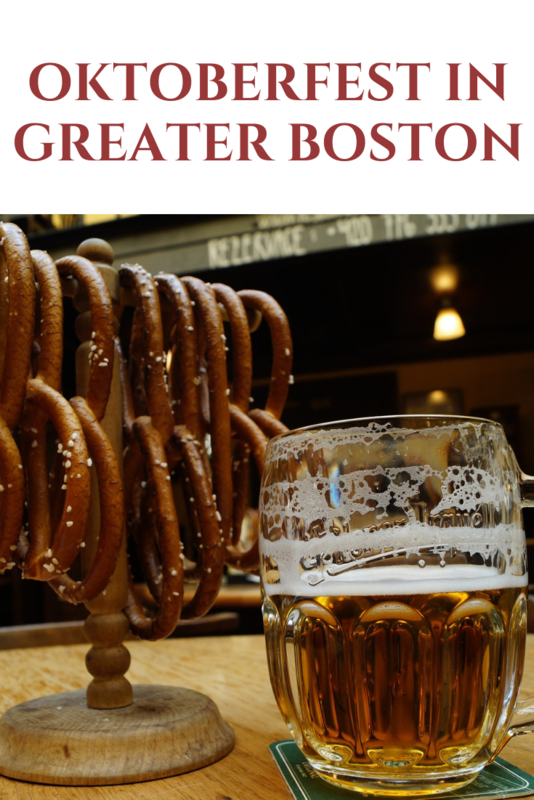 Come hoist a pint with us at our Boston Brewery at our biggest festival of the year! You'll join thousands of beer-loving fans during our 2-day festival that takes place outside underneath tents alongside the brewery! Kick off the Fall season and Oktoberfest at the eccentric space in Aeronaut Brewery with an all levels flow! Brew up your own energy and vitality on the mat and then stay after to enjoy some brews that the team at Aeronaut has dreamed up! Join us on Sunday, October 7th @ 9:30 am for a festive German-themed 5k that circles Kendall Square and is immediately followed by an outdoor Oktoberfest on the CambridgeSide roof deck with Notch, Slumbrew & Bantam Cider! Come join the fun at Shovel Town Brewery's 2nd Annual Oktoberfest to Benefit the Easton Food Pantry! This year’s Shovel Town Brewery’s Oktoberfest is shaping up to be a great event! We are planning to expand the event with a tent in our parking Lot for Games and Food! This year’s event will once again feature live music from several local artists, authentic German Food, Wood Fired Pizza, games and Shovel Town Oktoberfest and Pumpkin Beer and much more! The SCBA Presents: The 13th Annual NB OKTOBERFEST! Proceeds support at-risk youth & educational based charities along the Southcoast. Beer Sampler tickets will be available. Steins available in limited quantity to the first 200 purchasers only.